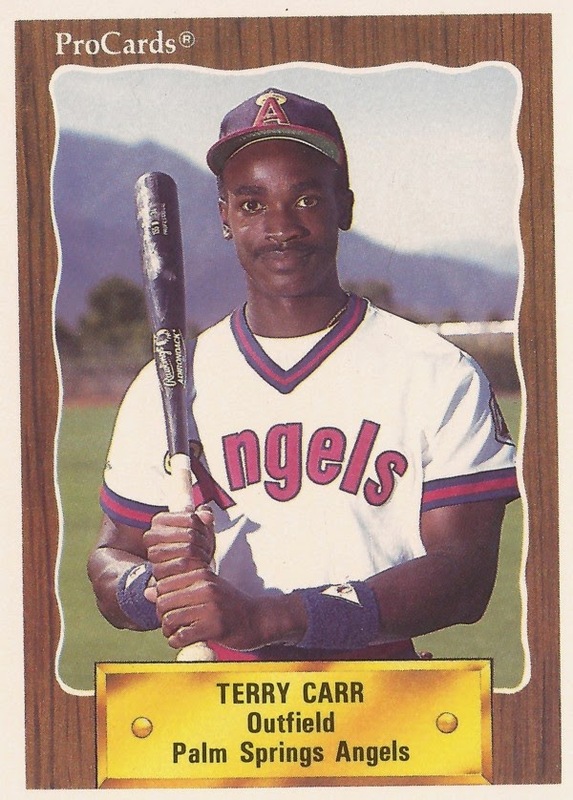 Coming out of high school in 1986, the Angels saw enough in Terry Carr to take him late in the first round. He also drew comparisons to major leaguer Gary Pettis, according to The Los Angeles Times. Carr, The Times wrote, "is a 'Gary Pettis type' who consistently hit line drives." For Carr, though, it didn't work out like that. His career ended up lasting five seasons. He never made AA. 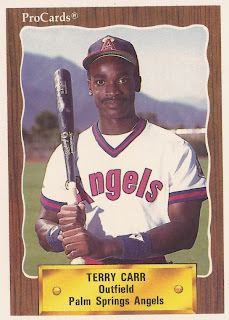 Carr's career began that year in 1986, taken by the Angels 25th overall out of Bennett High School in Salisbury, Md. He was also credited by his formal name, Terence Carr. Carr began with the Angels at single-A Salem. His career also started with an early injury that put him out for three weeks. He returned to the field, but the line drives didn't fall. Over 48 games, he hit .233. He moved to single-A Quad Cities in 1987. In 100 games there, he hit .204. His average dropped further in 1988. Over 63 games at Quad City he hit .156. He did steal 17 bases. Carr's career continued at single-A Reno in 1989, where he hit .255 over the season. Then played 1990 between high-A Palm Springs and single-A Charleston with the Reds. He hit .203 overall, ending his career. His efforts won him induction in 2012 to Maryland's Eastern Shore Baseball Hall of Fame.